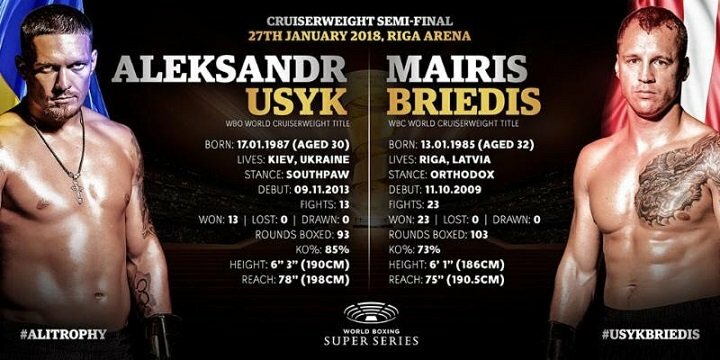 The highly-anticipated World Boxing Super Series (WBSS) opens its semifinals-round action this Saturday, when undefeated world champions Oleksandr Usyk and Mairis Briedis battle in a title unification this Saturday, airing live from Latvia, starting at 2 p.m. ET, exclusively on Super Channel in Canada. 20 world champions have been recognized by the WBC, of whom only two have regained the title: Carlos de Leon (Puerto Rico) three times, Jean Marc Mormeck (France) one time. 72 cruiserweight world championship bouts have been held in the history of the WBC.